Our range of products include transparent acrylic sheet and plastic acrylic sheet. 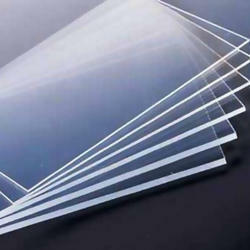 We are one of the leading supplier of Transparent Acrylic Sheet. It is useful clear plastic that resembles to glass in many ways. Common brand of acrylic include polycast, lucite and plexiglass. Acrylic is used to make various products such as shower doors, bath enclosures, windows and skylights. It is chosen over glass for many reasons. It is many times stronger than glass, making it much more impact resistant. Acrylic also insulates better than glass potentially saving from heating bills. Light, Easy to handle and store Does not break, crack or leak Environment friendly Offers the beauty of clay tile with minimal dead weight on the roof Unbeatable hurricane, hail and all-weather resistance. We deals in various types and sizes of Plastic Acrylic Sheet. Our clients can avail from us a wide range of Acrylic Sheets which is available in the different material like plastic, polycast and many more. These are resistant to chemicals and industrial fumes and have the capacity to remain stable under sustained exposure to the elements. If you have any requirement please do not hesitate to contact us. 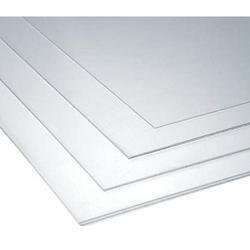 Looking for Acrylic Sheet ?